As the kittens grew they started getting adventurous. 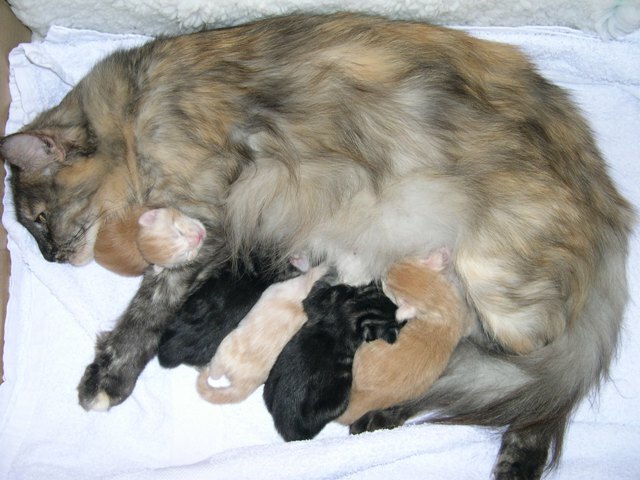 The first photo was taken when they got to 3 weeks’ old and their eyes were fully-opened. I knew it was only a matter of time when they got out of the box and started wandering. 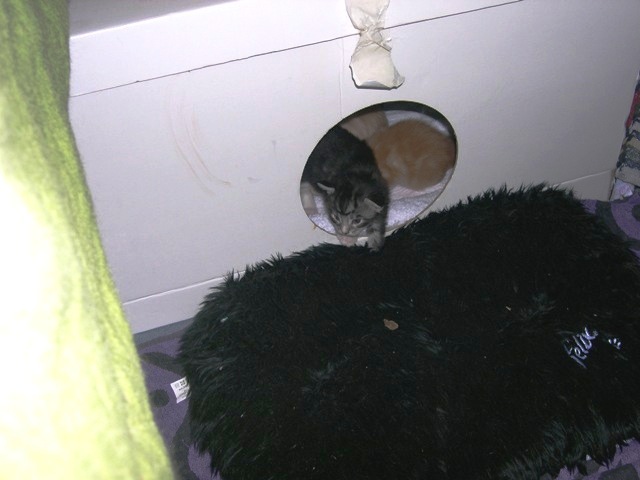 So to stop them from getting into trouble, I erected some mesh panels around the box and draped them with blankets. 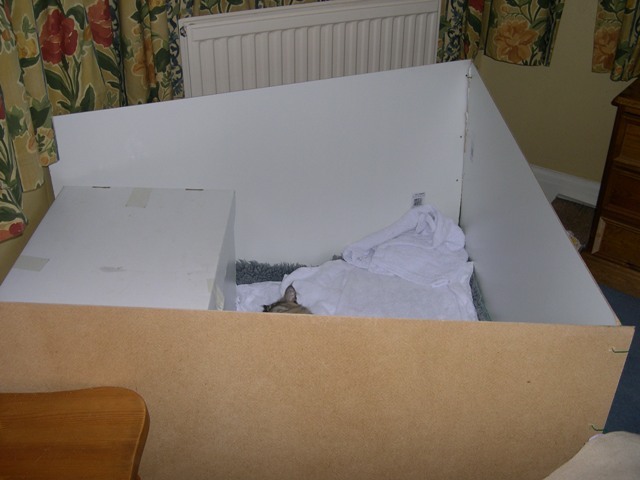 Then I remembered – in previous years the litters had proceeded to learn how to climb up the blankets very quickly and escaped from the pen. Nothing like seeing a little 4-week-old kitten perched 3 feet high at the top of a pen to give you a heart attack! So I got some whiteboards from B&Q and made a makeshift pen. The smooth white sides meant that the kittens couldn’t claw their way up. I do hear a lot of scrabbling though. Mum likes the roomier pen too. They are 4 weeks’ old today. I’m seriously considering moving them downstairs into the living room because Mum cat is getting skinnier from having to nurse five kittens. Two nights’ ago, she brought a chick for them to eat. 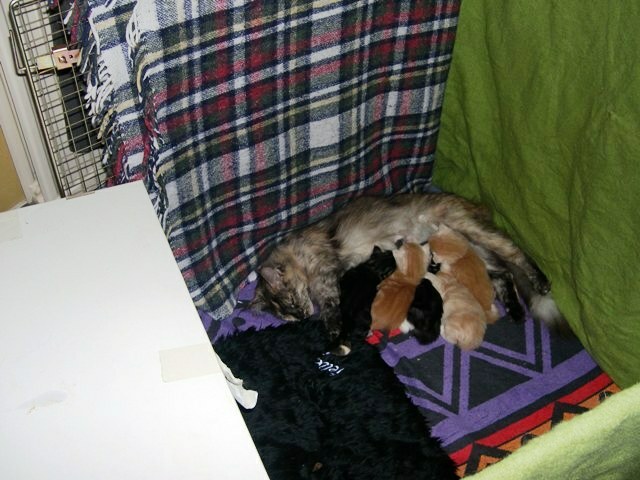 Of course they didn’t eat it but I think she was trying to tell me something: Those kittens need weaning! Of course, weaning means pooing which means litter-training which means I need to take them downstairs where it’s easier to clean.